Hey there! I'm Kelli, host of Ceremony Wellness Podcast + creator of The Journey Within healing series. As an autoimmune warrior myself, I help women heal their physical and emotional pain through Functional Medicine, Ayurveda and spiritual development. I have authentic conversations with the leading voices in wellness, alternative medicine and personal growth to give women like you the tools to heal and create the life you've been longing for. Have you grabbed our freebie yet? 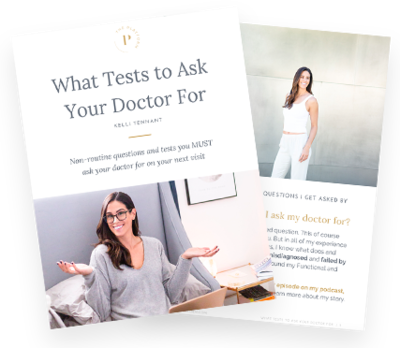 Be prepared to ask your doctor the right questions that might just help speed up the process of getting a proper diagnosis and finally healing. I don’t believe in BIRTH CONTROL. Knowing what I know now, I’m a little mad at myself for not knowing that I should have asked more questions then. But alas, it was the early 2000s and this kind of information wasn’t as prevalent… or maybe it was but I didn’t even know to look for it. So now, it’s almost 2019, and I have no excuses. And guess what, neither do you. Here’s some information for you. Do with it what you may. No, I’m not trying to get everyone pregnant. And I have some great ways to keep that from happening. But I am trying to bring a very important conversation to light about how all types of birth control, aside from good old cycle tracking and condoms, is SO DANGEROUS for your health. I have been on a soapbox with my friends for a couple years now, but I feel it’s far too important to keep this to myself any longer. According to Aviva Romm, you have a 30-50% higher chance of developing an autoimmune disease if you take the pill. An IUD, although a better alternative in ways, causes SYSTEMIC INFLAMMATION. You have a foreign invader in your body, whether it’s the hormonal Mirena or non- hormonal copper, and this can wreak havoc on your system, specifically if you have any autoimmune issues. I didn’t know this! When I went off the pill, I decided to try the copper IUD. It doesn’t have any hormones but acts as a spermicide so I thought this would be a brilliant option… as did my former OBGYN. We put it in (which was the most insane pain ever by the way, or at least I thought so until I had it removed) and within days, my autoimmune symptoms of brain fog, severe body pain and fatigue came roaring back with a vengeance. I left it in for 4 months not correlating the two. Then the light bulb switched on and I had the moment where I realized what I had just done. I went online and started googling IUD’s and autoimmune disease. You guys, I’ll save you the trouble of doing this yourself. There is not a single woman out there who did not have the same problems as me. NOT ONE. The stories were exactly the same. “I got the IUD, all my symptoms came back. I got it out, they went away.” WHAT IN THE ACTUAL HELL? Why is no one talking about this? Well, that’s because it’s a huge industry and pharmaceuticals run the world. Also, your doctor probably doesn’t know. Luckily mine does. 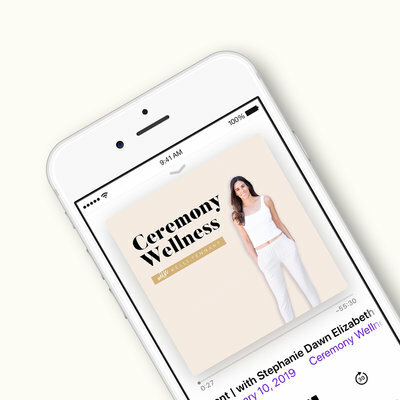 Two of the questions Dr. Lekkos (who talks about all of this with me in our interview on Ceremony Wellness Podcast) asked me were, “Are you on the pill?” and “Do you have an IUD?” It’s incredibly obvious when you think about it. If you have any type of hormone issue or inflammation in your body, and then you stick something on your uterus with the purpose of CAUSING MORE INFLAMMATION to keep you from getting pregnant… your body is going to freak out and the inflammation is going to be through the roof. So, how do I prevent getting pregnant? I use Natural Cycles. It’s an app that helps you track your cycle. There are a ton out there. This is just the one I chose and it’s easy. You take your temperature, test your urine for when you’re ovulating and input days you’re menstruating. It does take consistency and if your cycle is all over the place, you need to be really careful and diligent. You can only get pregnant 6 days/month. So if you know your cycle and do this properly, you will know exactly when your “red days” are and when your “green days” are so you can protect accordingly. Also, if you’re dealing with hormone issues, PCOS, infertility or just an irregular cycle, and that’s why you’re on the pill or have an IUD, I highly recommend this book, Woman Code, by Alisa Vitti. It’s life-changing. I read it years ago and it talks about stress, nutrition sleep and habits that create all of these problems. I know these are murky waters I’m swimming in, but I would hate for you to be dealing with inflammation and pain and not ever think about birth control being a potential trigger for you. On a side note, be sure to tune into this week’s new episode! Liz Wolfe is a Nutritional Therapy Practitioner (NTP), a best-selling author, an award-winning podcaster, and mom. 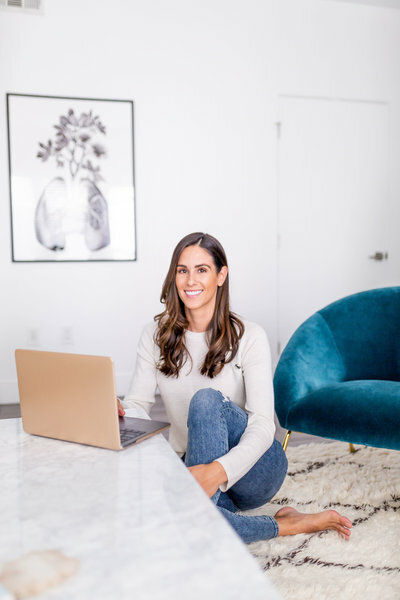 We talk all about her new program: Baby Making & Beyond, perfectionism in motherhood, the nontoxic beauty company we both love, and so much more. Jumping off my soap box. Thanks, as always, for being here and making your health a priority. Be sure to drop me a note via email or on Instagram. I love to help and care deeply about your healing journey.